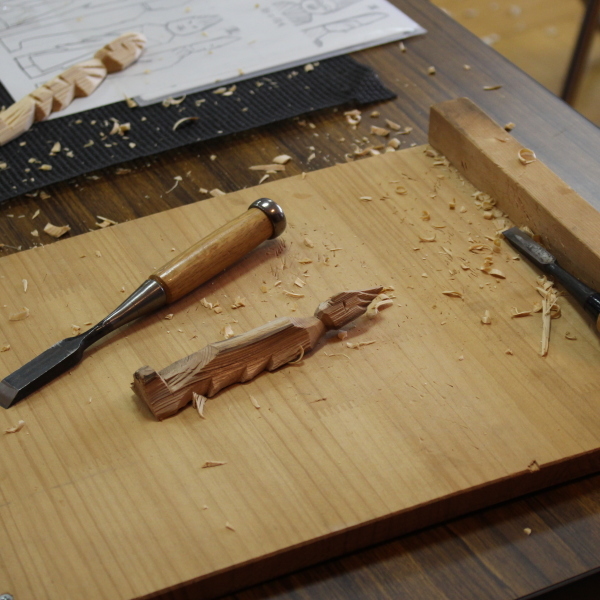 Taniguchi Nobuo Studio has carried out numerous sculpture experience classes so far. Especially in the experience classroom with a hollow carved sculpture, I am proud of the highest achievement in INAMI “Sculpture Town”. 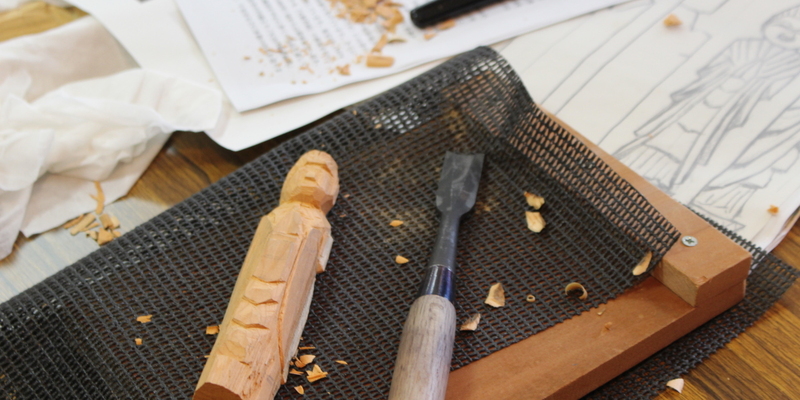 We hold sculpture experience classes for individuals, groups (up to 20 people) and venues. If you are interested please feel free to contact us. ※ Transportation cost to a distant place and expenses for renting a conference room are charged actual expenses. Please acknowledge it beforehand. 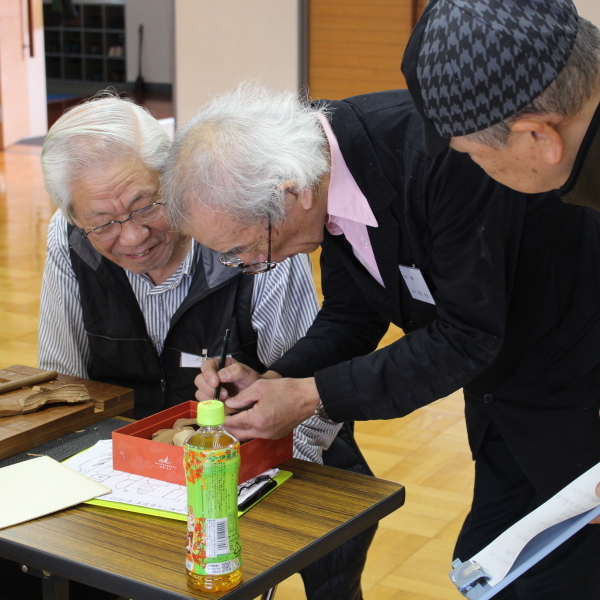 In the sculpture experience class by Nobuo Taniguchi, we will hand over the designs after preparing the sculpture materials and tools. Since the design has aimed at beginners and intermediate-level players, beginners can enjoy sculpture while enjoying even middle and advanced players. On this day it was an experience classroom with a hollow carving at Inotani Sekisyokan. 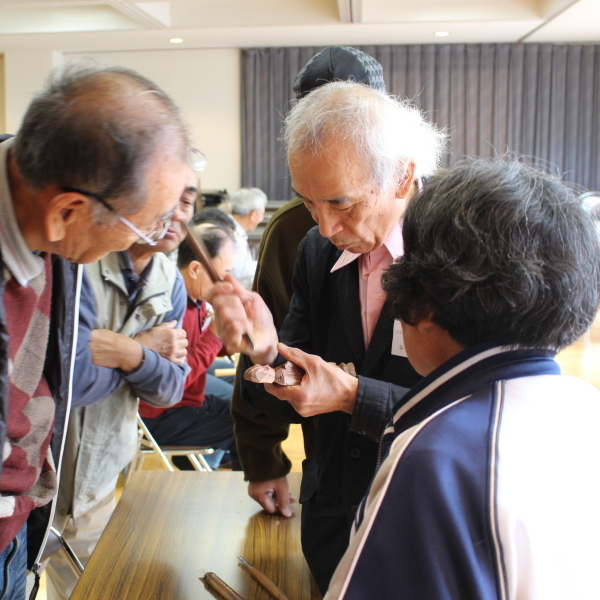 There were more than 50 entries for the capacity of 20 people. In the demonstration by Nobuo Taniguchi and explanation of sculpture, everyone listens with a serious look. It will be completed in about 2 hours. Why do not you experience sculpture as well.